Q: How did Johnny survive on Klendathu when he got wounded? Q: What are the songs played during the high school prom dance? Q: What are the differences between the film and the novel? 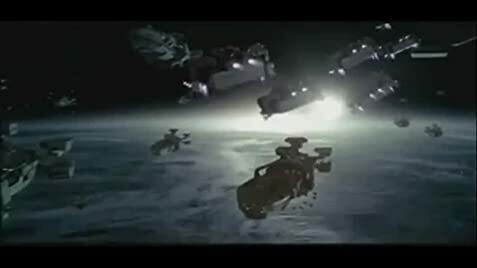 Starship Troopers is a subtle and insidiously subversive movie that proved frighteningly prescient in the wake of post-9/11 uberpatriotism. Both Heinlein's book and Verhoeven's film are valid and interesting political statements at opposite ends of the spectrum. Heinlein's novel was criticized as fascist at the time of its publication, and for all his obvious talent as a writer I'm inclined to agree. The movie is as much a sendup of the original novel as it is a satire of jingoist American politics. 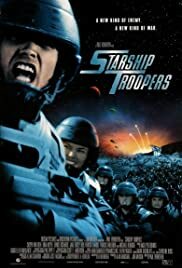 It really is a shame that despite the squeaky-clean heroes plucked straight from the soaps, the Mormon extremists, the multiple-amputee mobile infantry retirees and the propaganda shorts masquerading as news, the vast majority still seems to regard Starship Troopers as a stupid action movie and, for some reason, absolutely refuse to consider that it might be something more. 662 of 892 people found this review helpful. Was this review helpful to you?